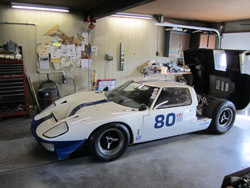 Performance Motor’s restoration and service partner is Conover Racing & Restoration. Tony Conover and his skilled team have been restoring Shelby American Mustangs and Cobras, as well as high performance Mustangs for over thirty years. From light engine detail, service work, to nut and bolt restoration of your classic Mustang, Conover Racing & Restoration does it all. You can reach Tony at (717) 637-6964. Performance Motors is able to arrange coast to coast shipping with experienced transporters. 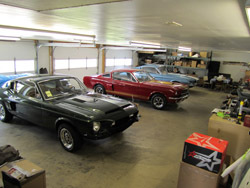 In almost every circumstance we recommend that your classic Mustang be transported enclosed. Give us a call for a quote. Short or long term indoor temperature controlled storage is available. Give us a call at (717) 632-0009 for details. Financing is available through JJ Best Banc & Co.